We have a lot of fun working at California Car Cover and the holidays let us have a chance to give back to the community. November means Thanksgiving is near and Christmas is just around the corner. It also means that it is officially, Movember. Movember is a charity has been around since 2003. It raises awareness on prostate cancer and proudly supports the LIVESTRONG Foundation and the Prostate Cancer Foundation. 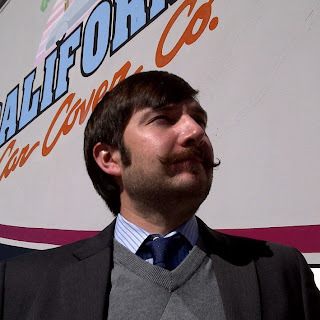 You can find out more about the organization on their website: http://www.movember.com. In fact, anyone that makes over a $5 donation will receive some Golden Shine decals and a limited edition Moustache Key Chain constructed of car cover fabric. California Car Cover is going to match any funds raised during the month of November. California Car Cover is also a proud supporter of Friends & Helpers, a local charity that assists victims of domestic violence. We will be hosting a toy drive for the organization through December 3rd to collect toys for the children in families affected by abuse. Anyone that donates a toy will receive a 4 oz. sample bottle of our popular Golden Shine Quick Shine Detail Spray.